Big thanks to Cooperatize and MSI for sponsoring today's discussion. Even though we aren't homeowners yet, hubs and I spend a lot of time daydreaming about our future home and all the awesome features it will have. Comparing our past homes and then deciding we need a dishwasher and a beautiful kitchen to match it, while we also decide that we really, really would love to have a sun-porch or lanai. I like to think we'll find the perfect house soon. One can dream, right? We've actually been blessed enough already to live in newly renovated places and loved all the features. We've also lived in older homes and truly appreciate the charm they offer. No matter what house we end up with... there is one thing I know for certain, our kitchen has to be amazing. I'm talking a stunning, drop dead, pinterest-worthy kitchen. Maybe an all-white look or something with lots of neutrals... the possibilities for our future kitchen are endless. There are so many features I want in a kitchen. Nice cabinetry, beautiful appliances, and the most important part - the counter tops! After spending hours on pinterest, I found my personal favorite. 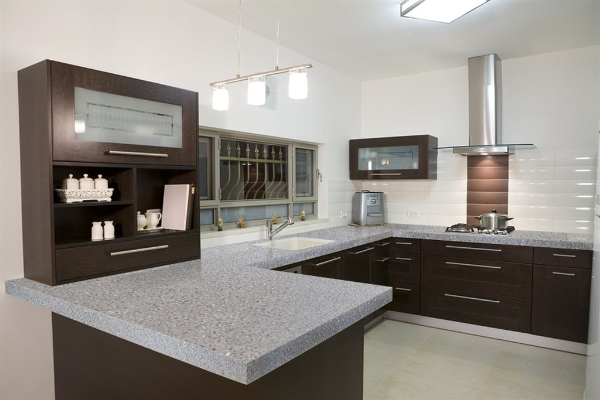 I definitely plan to buy our future counter tops from MSI, their Premium Natural Quartz is stunning. Made by an optimal fusion of quartz and resin materials, Q is naturally beautiful yet super durable. Treated and press, this natural stone is one of nature's miracles - as one of the hardest minerals on the planet! 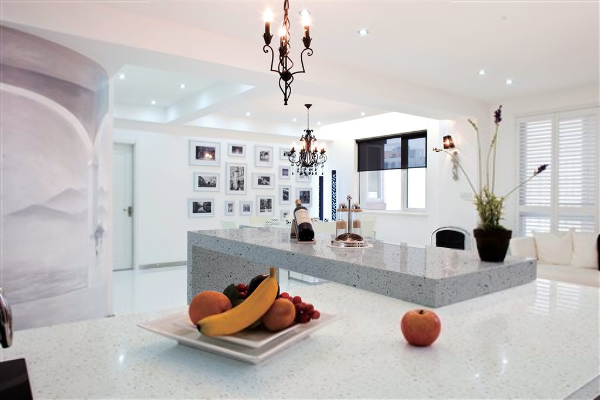 With the super contemporary style and extraordinary strength, choosing the right surface for your counter tops has never been easier. Scratch and stain resistant, the Arctic White Q will make my all white kitchen dream into a (clean and beautiful) reality! They offer so many beautiful modern color options and are a counter top that many homeowners, architects, and designers recommend! Backed by a Residential Lifetime Warranty, Q's extremely durable surface is protected and perfect for your beautiful (yet sometimes messy) kitchen! 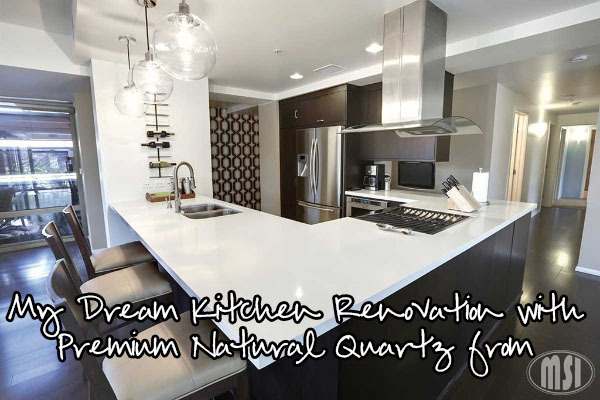 I'd love to hear what your dream kitchen looks like, what quartz counter tops from MSI are your favorite?